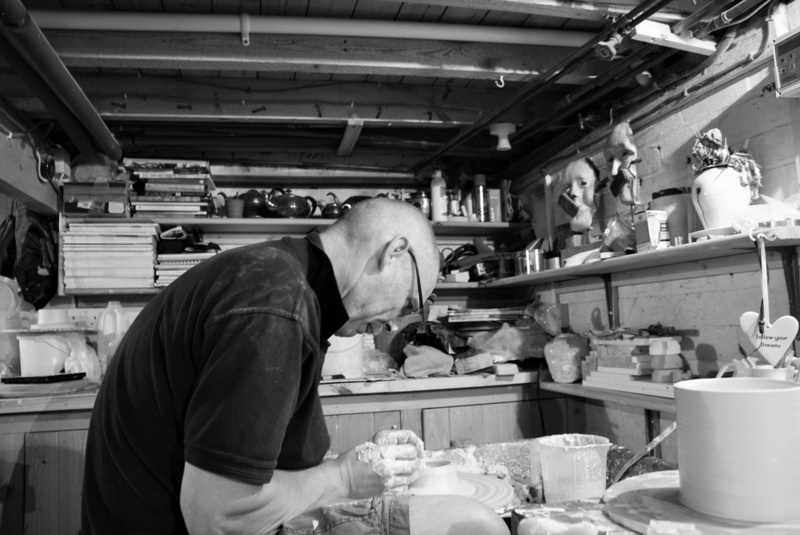 Producing original handmade designs, Nigel Matthews has been a ceramicist for over eight years, graduating in 3D Design Ceramics at Staffordshire University. A proficient maker and innovative designer, Nigel’s work is inspired by the eighteenth-century tradition of repairing ceramics. Before the advent of sophisticated adhesives, these repairs were undertaken by skilled Silversmiths and Tinsmiths, often using found handles and spouts. Nigel has interpreted this mismatched aesthetic into his work. All work is made to order from Nigel's studio in Derbyshire.